The Alexandria Campus Band was formed to provide a forum for the NOVA’s music students to gain experience performing and to reach out to the community. The band was founded in the fall of 1977 under the leadership of Dr. Robert Petrella. The second band conductor was Dr. Wendy Matthews, now a professor at Wayne State University. The current director is Lisa Eckstein. The band has performed at the Kennedy Center, Georgetown University, the George Washington Masonic Temple and other sites in the metropolitan area. 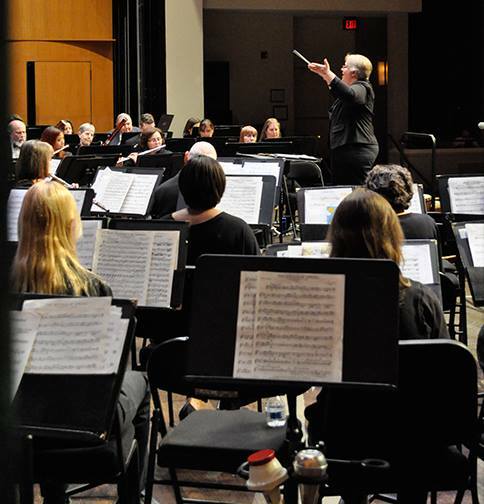 The band has collaborated with soloists from the local military bands, the George Mason University Wind Symphony and the Prince William Community Band. To participate in this group, register for MUS 149 section 001A. For more information, contact Lisa Eckstein at leckstein@nvcc.edu.